Blog What is radio automation? What is radio automation software? It is software used by radio broadcasters. Radio automation software comes in many different varieties. The majority of products have a common set of features, with each product also offering some unique features. 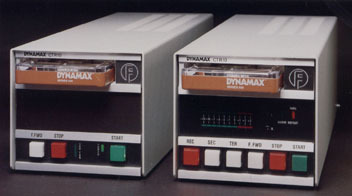 Radio automation software, or playout software, allows broadcasters to store all of their pre-recorded audio content (songs, jingles, commercials, interviews, etc) on a computer hard disk. You can then play back this content from a computer instead of using CDs, cart machines, etc. Most radio automation software would allow you to queue up audio (a playlist) and then play this back. The majority of systems would also import playlists from music and commercial scheduling systems. When you link systems together like this it makes the job of the presenter easier. You have all of your pre-recorded content lined up and ready to play at the click of a button! Clearly, each automation software has a different layout and features. When selecting which radio automation software you want to use, it’s important to understand exactly what your needs are. The needs of a talk radio station are different to one where only music is played. Equally, many radio automation software systems are loaded with a huge number of advanced features, which you may never need to use. Having all of your pre-recorded audio and a playlist/schedule on a computer allows you to do the ‘automation’ part. Before automation was common in radio, you would need to have staff working 24/7. In fact, members of our team have had the ‘nightshift’ before. Radio automation software allowed radio stations to hand control to the computer. The software would play the audio back in a continuous stream, just as though a presenter was there. This makes financial sense for many broadcasters, where overnight listening is very small. The same idea can be applied to community/hospital/internet radio stations, where large chunks of output can be pre-produced by a small team and played out via the automation software. In this example, the automation software actually makes the radio station possible. Without it, they could not afford to pay staff to operate controls all day. Our final tip is looking at how easy the radio automation software is to use. We have found that many stations prefer software that has a quick learning curve, making it simple to understand and minimising on staff training. When we designed Autoplus Radio Automation Software we worked hard to keep the user interface simple to use. It was essential for us to work with radio presenters and get their feedback and ideas on how to make our software easy to learn.